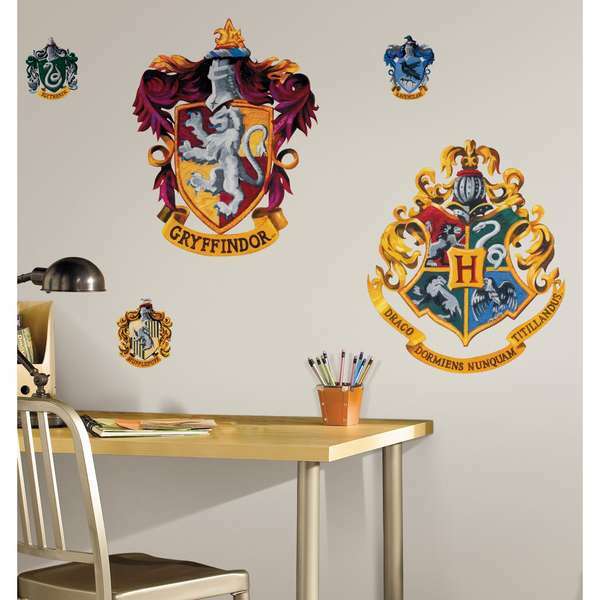 RoomMates Peel and Stick are a quick and easy way for Harry Potter fans to decorate their rooms. Unlike posters, there is no tape, no holes in your wall and best of all, if you don’t like it where it is, you can move it again and again – with no damage to your wall or door. The Harry Potter Crest set comes with a splendidly huge 17”x21” Hogwarts crest and a Gryffindor crest of the same size, plus three smaller 3”x4” crests for Slytherin, Ravenclaw and Hufflepuff. For fans of those houses, like me, that was a bit disappointing, but the small crests work great in school lockers. And all of the crests are vividly-colored replicas that lay smooth with no reflective glare from lighting. The Harry Potter Crest set is available for purchase on Amazon.com. ******!! I want this so bad!! They are amazing I want them so bad! I might have to get these when I move and decorate my room. I want it to be Gryffindor themed, with a red and gold bed spread, dark red walls with stonework wallpaper from three feet off the ground, some Gryffindor shield wall hangings, etc. 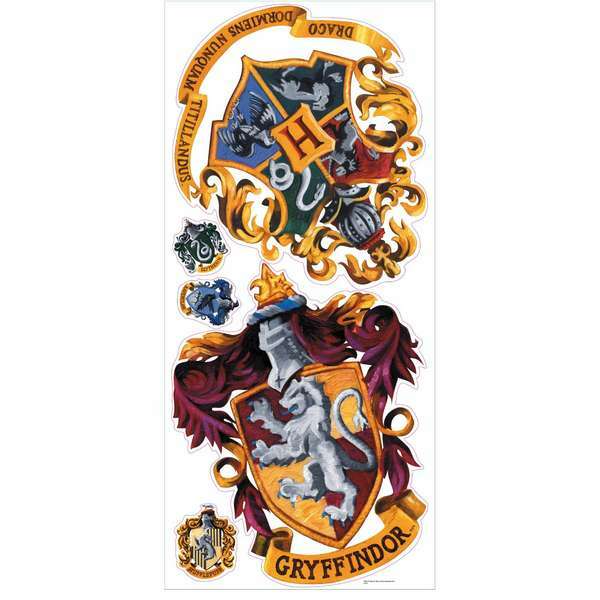 And that Gryffindor crest decal would be perfect!